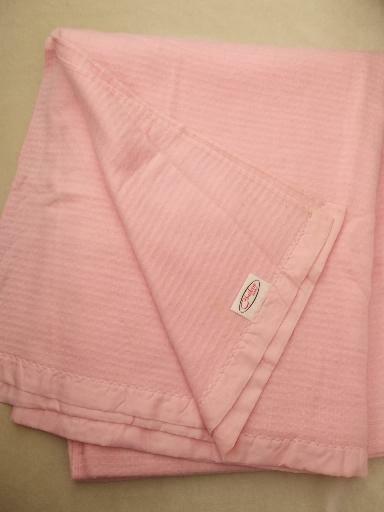 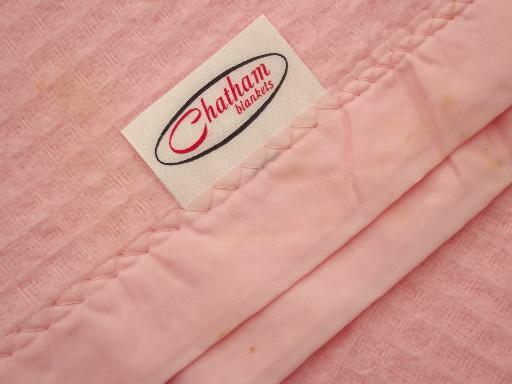 Never used vintage Chatham blanket, soft acrylic, pretty pink. 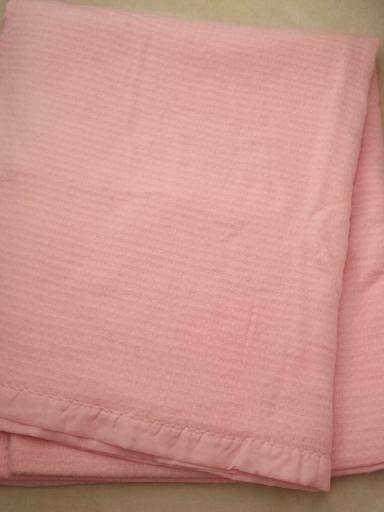 It's twin size, measures 74" x 88". 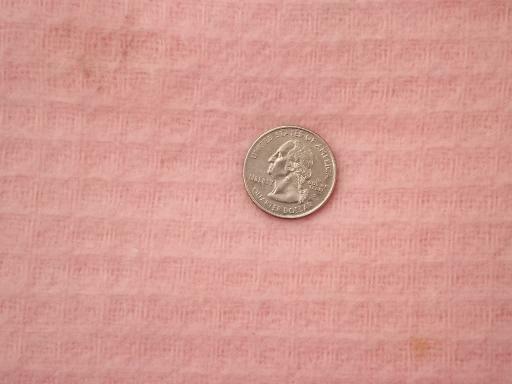 This one has some surface soil and soil marks from years of storage, but it's never been laundered, so we haven't washed it.